They did it again! 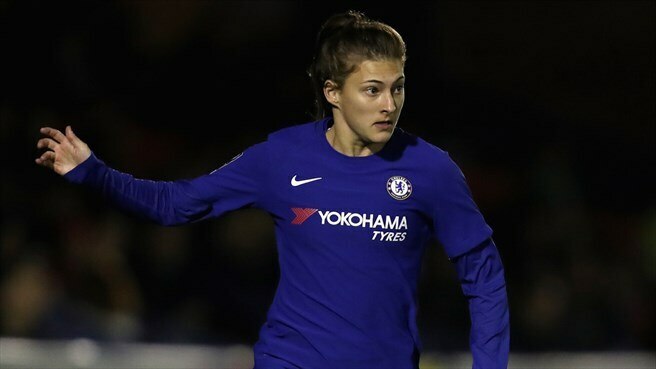 Chelsea’s dream is much closer to become a reality, after an astonishing 2-0 win in Kingsmeadow against Champions League rivals Paris St-Germain. 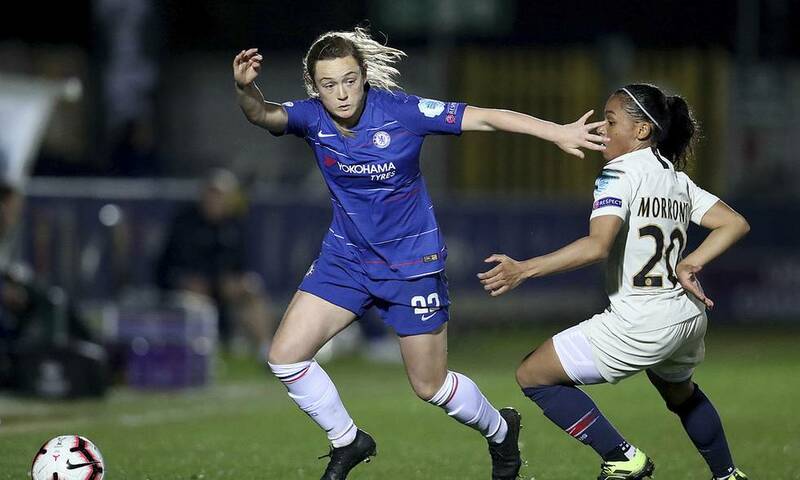 Now, Chelsea is clearly much near to that Women’s Champions League semi-finals for a second consecutive year as strikes by Hannah Blundell and Erin Cuthbert gave them a secure lead over PSG. The match didn’t start as everyone expected: The police found some weapons, including knives and knuckledusters, on a coach of PSG supporters, who were denied entry. On the pitch, it was clear that there was little between the sides in the first half, in which the physical approach of PSG, finalists in 2015 and 2017, succeeded in negating the hosts from an early goal. But, the Blues miracle came on the second half. 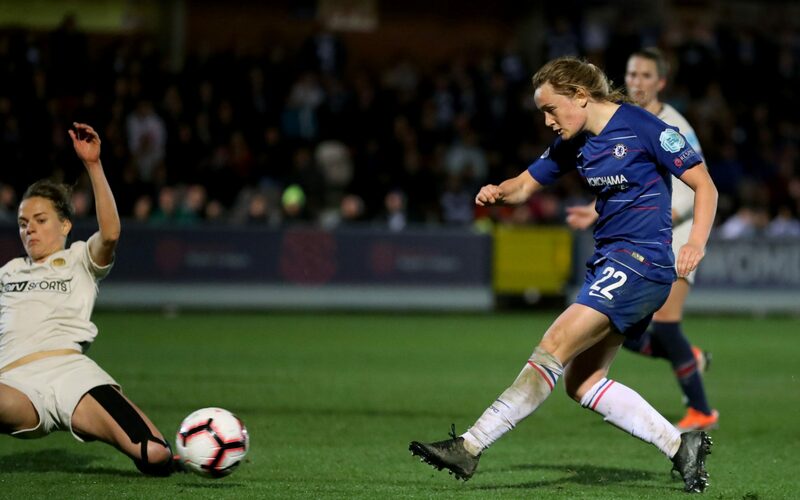 On the field, Emma Hayes’ side, who are 3rd in the Women’s Super League, struggled to create chances before the break but quickly want back to life, after the introduction of Fran Kirby on the second half. The England striker almost broke the deadlock herself, after a really impressive shot that almost beats PSG goalkeeper. But in the end, the hosts grabbed two decisive goals in the final 20 minutes. Right-back Hannah Blundell finally appeared in style, making the breakthrough in the 73rd minute, followed by her Scottish companion Erin Cuthbert, who scored a crucial second goal, 2 minutes from the end of the match. Sadly for Chelsea’s supporters, she will be suspended for the second leg, after a late booking was given. Even if it was a victory for the Blues, the Parisians also tried their best to take a win from the rival’s field. The best moment for PSG came when winger Ashley Lawrence was denied by a strong, second-half save from Chelsea goalkeeper Ann-Katrin Berger. PSG are second in the French women’s top tier, two points behind defending European champions, Lyon. In this match, they couldn’t do anything against Chelsea, but they expect to give a surprise to the Blues in France and turn this result around. But the Londoners, who overcame Bosnia & Herzegovina outfit SFK 2000 Sarajevo and Italy’s Fiorentina to reach the last eight, showed the greater ingenuity in the latter stages after some beautiful first 45 minutes and they clearly deserve their aggregate advantage. What will happen in the next match? We’ll need to wait and see. Next Women’s World Cup in 2023 Already On Demand?